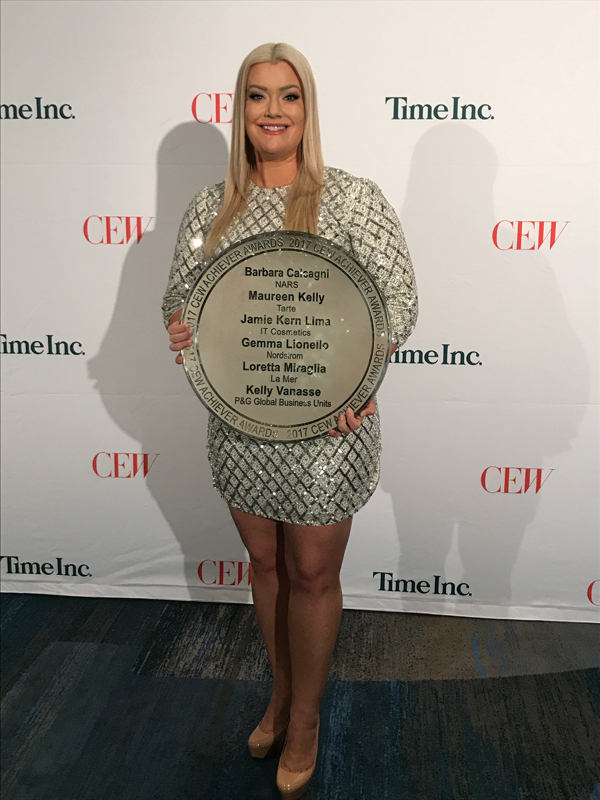 THIS WEEK | Jamie Kern Lima, Co-Founder and CEO of IT Cosmetics, calls for change and rallies industry leaders to rethink the images of beauty they put out to the world, while being honored today by Cosmetic Executive Women (CEW) with the prestigious Achiever Award at the Hilton Midtown in New York City. Vera Wang Lovestruck ad campaign. A modern day love story set in downtown New York City, the Lovestruck ad campaign features Leighton Meester, star of Gossip Girl, in a couture Vera Wang gown. She leans over a fire escape, awaiting the arrival of her Romeo, who races towards her with a bouquet of flowers for their Lovestruck moment. Amid all the anticipation surrounding how Kate Middleton will wear her hair on her big day with the Royal Wedding right around the corner, we wanted to share with you inspiring styles from Fall/Winter 2011 Bridal Fashion Week in New York City last week. Play on Curls Fresh Waves for a New Generation on the Fall/Winter 2011 Bridal Runways. The Fall/Winter 2011 Bridal Fashion Week hairstyles took a fresh approach to embrace a modern, youthful bride. Redken Session Stylist Giovanni Giuntoli created the distinct looks at the Christos, Kenneth Pool, and Amsale collections, taking each in its own direction. I’m super impressed with the NEW Neutrogena Rapid Wrinkle Repair anti-aging skincare collection which was launched in March 2011. The difference is in its Accelerated Retinol SA which is formulated with Stabilized Retinol and glucose complex that help minimize the irritation often caused by other Retinol products to make it possible/comfortable to use daily. According to Neutrogena the NEW Neutrogena Rapid Wrinkle Repair skincare collection has been clinically proven to improve overall skin texture in one week and help diminish the look of deep wrinkles after four weeks. Other ingredients include Hyluronic Acid. 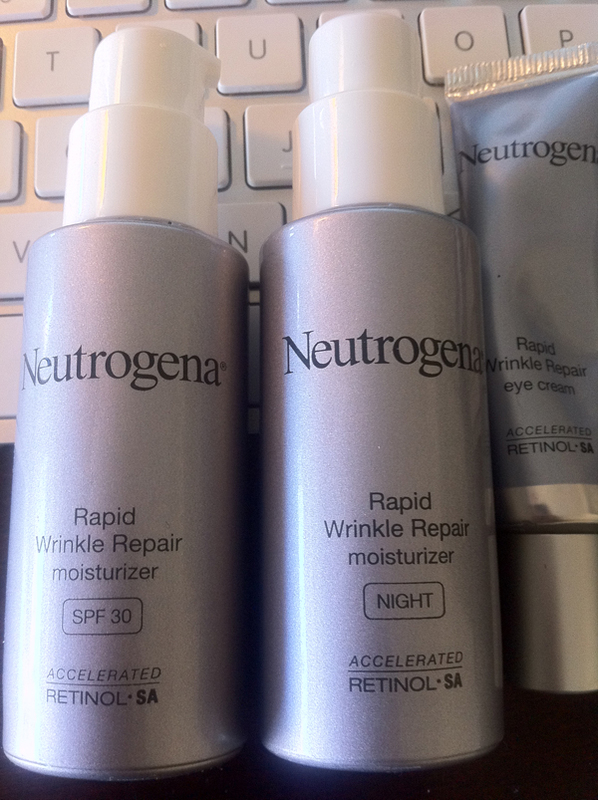 I’ve tried Neutrogena Rapid Wrinkle Repair (I love it & I will continue to use) and aside from its skicare benefits described above I noticed that the collection which includs: Neutrogena Rapid Wrinkle Repair Moisturizer SPF 30, eye cream, and moisturizer NIGHT, are all very hydrating, have a clean scent, and easily absorbed. I had the honor to attend the reopening cocktail party of Elizabeth Arden red door spas in Scottsdale’s Biltmore Fashion Park last week, December 1st, 2010. The new red door spa in Scottsdale brings New York City chic to my (our) Scottsdale. The spa is beautifully designed with a very inviting ambiance as soon as you walk in. The ever beautiful Catherine Zeta Jones for the Elizabeth Arden ad campaign images also help. Listen up blonds, are you in for a free concert and some pampering? The John Frieda team is out to prove that blondes really do have more fun with the Sheer Blonde Entourage, a series of events and perks available for blondes. The blonde VIP program begins on March 18th, 2010, in New York City at the Highline Ballroom with a private performance by Grammy-nominated singer-songwriter and blonde icon Natasha Bedingfield, whose third album drops this spring. The elite event lets you blonds experience the benefits of being blonde with the royal treatment, from makeovers at hair stations to complimentary food and beverages—all set to the music of Natasha Bedingfield. If you are in the NY area on the 18th join the Sheer Blonde Entourage for a free concert and some pampering. Blonds throughout the country: the Sheer Blonde Entourage will be stopping by a city near you soon! 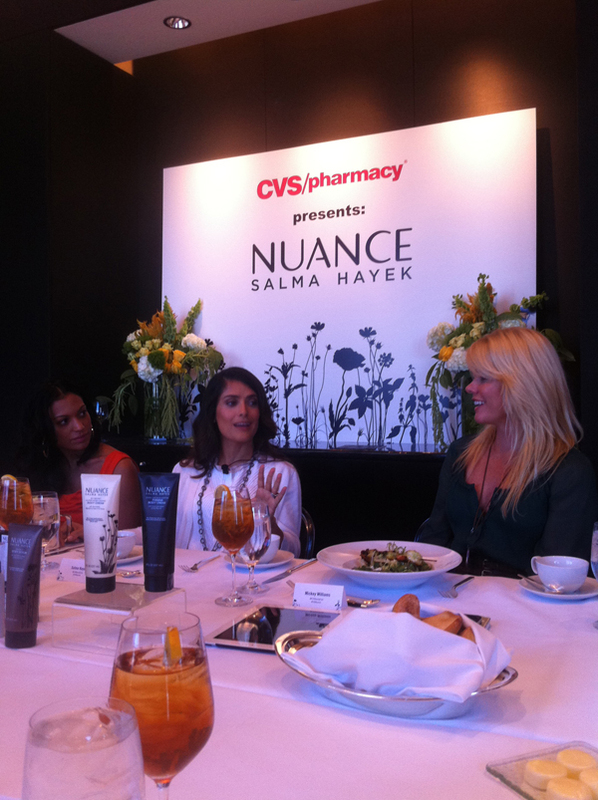 Talking Makeup will keep you posted.